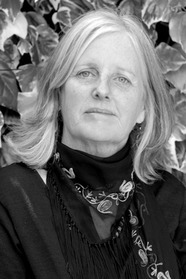 Fiona Farrell is a New Zealand author who won the Montana New Zealand Book Award and was nominated for the international IMPAC Award. She received the Bruce Mason Award for Playwrights, the Katherine Mansfield Fellowship, and was an inaugural recipient of the Rathcoola Residency for New Zealand and Australian writers and artists. A young man out poaching. A beautiful maiden in a mysterious house. A perilous voyage to distant islands.